The Punta de Mita Foundation (FPM by its acronym in Spanish) has launched an online auction to raise money for the construction of a new Community Center, which will be located in Punta de Mita in the Riviera Nayarit. Built in the Nuevo Corral del Risco across from the Sports Center, it will be called the Soriana del Mar Community Center. Essentially this will be a space where the people who live in town and neighboring areas will be able to make their dreams come true. “The idea is to invite the community, the families and the schools to host their cultural events and workshops here,” added Schalla. The creation of the Community Committee will be at the heart of maintaining the center active and lively, while the FPM will lend their support through management and consulting. The first stage of construction will include bathrooms, a kitchen and a multi-purpose room, thanks to a one million-peso donation on behalf of the Soriana Foundation. The money was obtained via the national rounding-up program and regionally managed by FPM in collaboration with the Mexican Alliance for Community Foundations (Comunalia, by its acronym in Spanish). The second stage will set up the green spaces and the exterior with a covered stage as well as offices for the FPM. The budget to complete the work is another million and a half pesos, which is where the auction comes in to help raise funds along with other actions to complete the money needed. The first stage will be inaugurated in January 2017. The auction will offer products, services and artwork donated by the sponsors, among them hotels, restaurants and local artists. The deadline is December 18, 2016. To lend your support please visit https://www.32auctions.com/FPMcommunitycenter. 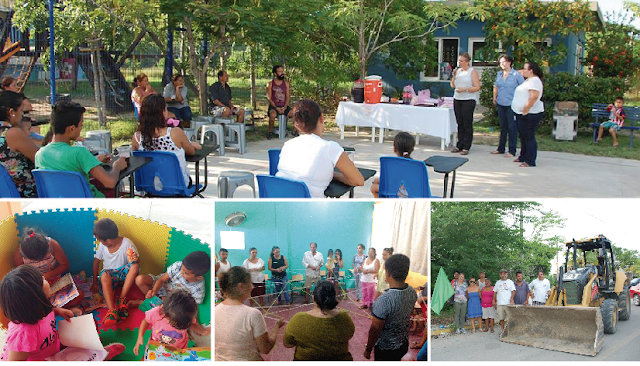 The Riviera Nayarit already has the Entre Amigos community center in San Pancho. It has become a model for Lisa Schalla, who highlighted Nicole Swedlow’s work and confirmed they will work closely with the foundations and associations for the greater good.